Pradhan Mantri Jeevan Jyoti Bima Yojana is second life insurance scheme launched by government of India in budget 2015. Prior to this we have already discussed about first life insurance scheme Pradhan Mantri Suraksha Bima Yojana. Prime intention behind launch of all these insurance policy is to provide low-cost insurance for all Indians especially to poor and under privileged. Let’s take a close look at Pradhan Mantri Jeevan Jyoti Bima Yojana (PMJJBY). Pradhan Mantri Jeevan Jyoti Bima Yojana is low-cost life insurance policy provided by government of India. Maximum sum offered under this scheme is 2 Lac. Premium payable for this insurance scheme is 330 Rs/- per year or less than one rupee per day. This scheme will be available from 1st June,2015. Pradhan Mantri Jeevan Jyoti Bima will be offered by LIC of India. Pradhan Mantri Jeevan Jyoti Bima Yojana is available to people of India (Indian Citizen) falling under age group of 18 years to 50 years. Bank account linked to aadhar card is mandatory for this insurance policy. People who join this scheme before completion of 50 years can continue this policy up to 55 years subject to payment of premium. Premium amount is fixed 330 Rs/- per year irrespective of age. This amount will be automatically debited from your account. Risk coverage under this scheme will be 2 Lac. 2 Lac will be paid to nominee in case of natural or accidental death. You need to renew this policy every year. Risk coverage can continue up to 55 years. Long term option for continuing this policy is also available. Account will be auto debited by bank. Only Aadhar card is enough to subscribe to this scheme. How to subscribe with Pradhan Mantri Jeevan Jyoti Bima Yojana? To subscribe with Pradhan Mantri Jeevan Jyoti Bima Yojana you need to submit simple application form at Bank or at LIC of India. You need to subscribe to this scheme every year in month of June. Premium paid under this scheme is eligible for tax deduction under 80C. 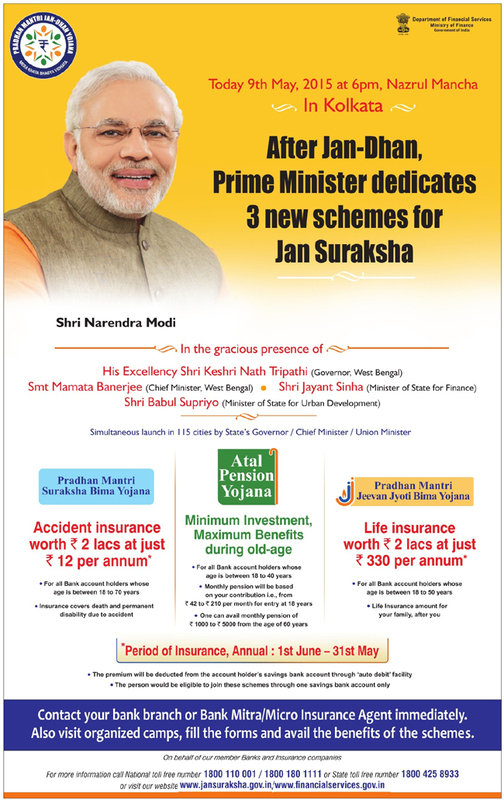 Pradhan Mantri Jeevan Jyoti Bima Yojana (PMJJBY) is very good insurance scheme available for Indian. Only downside of this insurance policy is sum assured. Considering current inflation level 2 Lac sum assured is not sufficient, however from cost benefit point of view it is very good scheme. It is always recommended to take term plan with sufficient risk cover. You can encourage your maid, driver, peon or any other poor person for taking this policy. Also help them for opening of bank account. 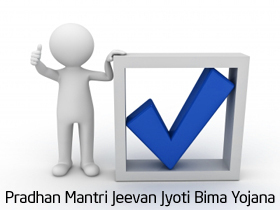 Do share your views on Pradhan Mantri Jeevan Jyoti Bima Yojana! You can take a look at press release about Pradhan Mantri Jeevan Jyoti Bima Yojana from here. Note:- This scheme is launched on 9th May,2015 by Prime Minister Narendra Modi. You can visit official website of PMJJBY from here. Pradhan Mantri Awas Yojana PMAY – Subsidy Details – How to apply? 1. if i stop paying premium after 5 years what will i get and when? If you stop paying premium this policy will be expired and no risk coverage will be avaiable. Good news for the people who are under lower income class, this insurance will be help them in big way. Even though the sum assured is low, this will serve for those people.